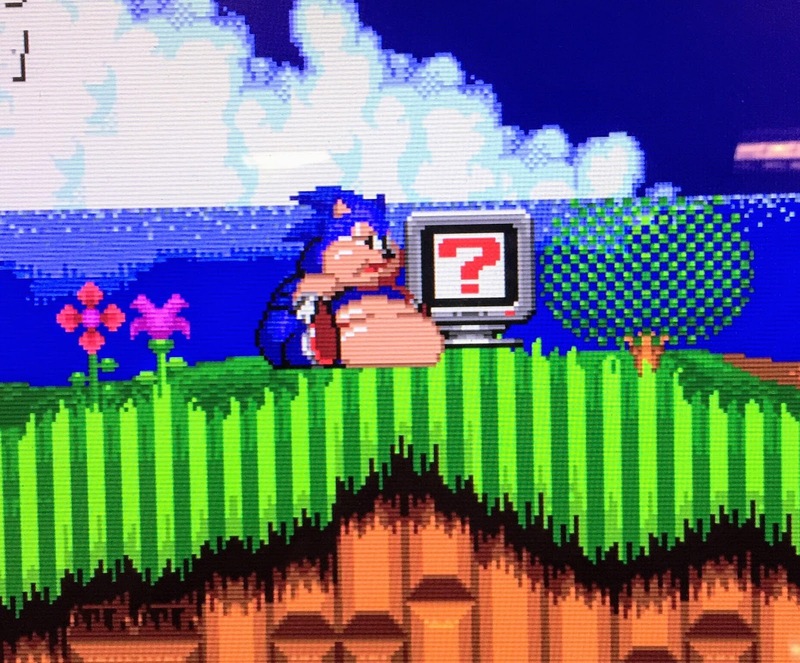 Arcade816 Development Blog: Gotta Go Fat...! 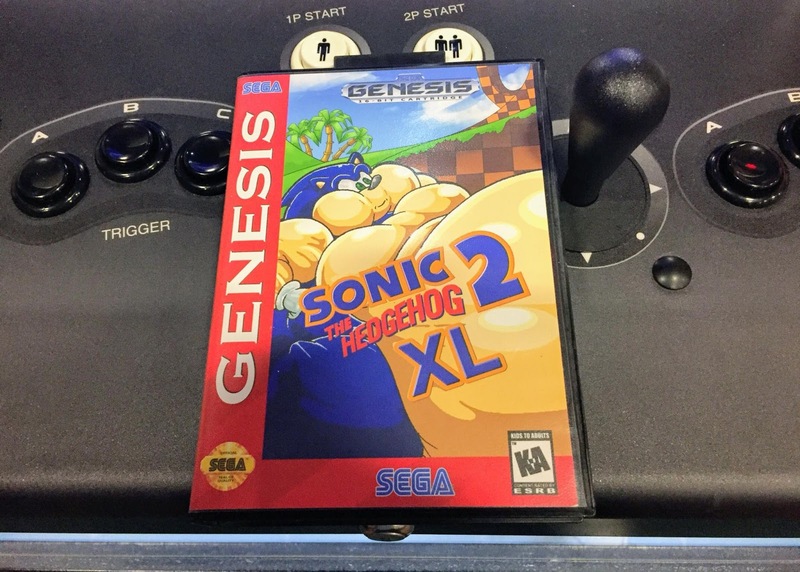 Sonic 2 XL was the sleeper hit of the show! 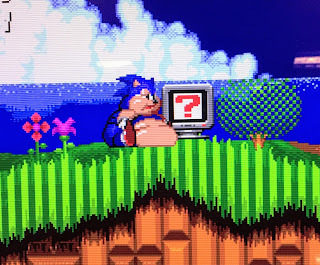 Everyone was having a great laugh playing this ROM hack of Sonic the Hedgehog 2, where Sonic gets fatter as he collects more (onion) rings. We're on the way out, so thank you Midwest Gaming Classic for your kind words of encouragement. In return I will bring you the best experience I can next year!